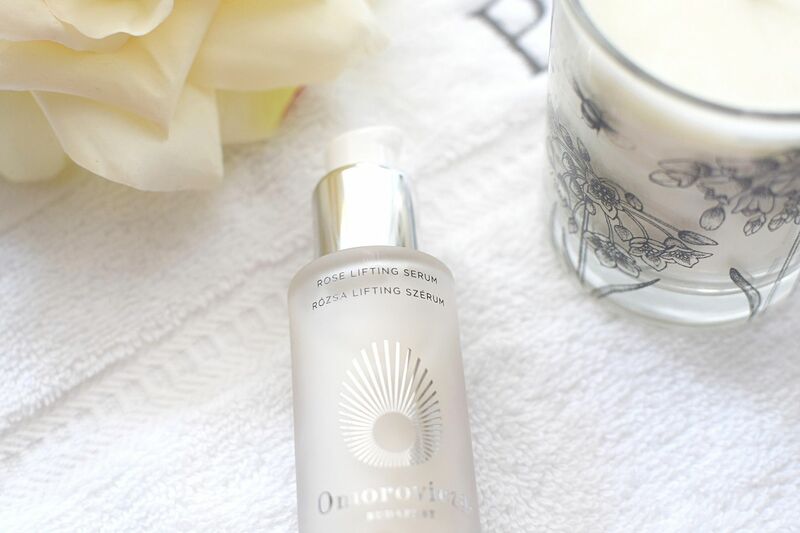 I was recently introduced to Omorovicza products when I had a facial at Liberty in the treatment rooms. Omorovicza products were inspired by Hungary’s thermal waters and the skincare was pioneered to harness the healing powers of that water into the range. The facial included the usual cleanse, exfoliation, mask and moisture, but also included a gorgeous hand and arm massage. I always think a facial is a great introduction to a brand and then you can see what products are suited for your skin type. After my facial I left with a full diagnosis of which products would work well for me. Since then I have been using a couple of these recently and two really stood out for, which for me was the Rose Lifting Serum and the Ultramoor Mud Mask. These two products have definitely been giving my skin a bit of a boost, so let me tell you why. This serum is described as to relax the facial muscles to stop lines and wrinkles appearing and the natural tenser gives the skin more of a lift, giving it botox-like qualities. I loved the idea of this product and so when putting it to the test, it did feel like it had given my face an instant face lift. The feel of the product is so smooth and so as you can guess this transfers onto the skin and leaves it feeling like this, as well as feeling refreshed from the cooling feel and the smell too. 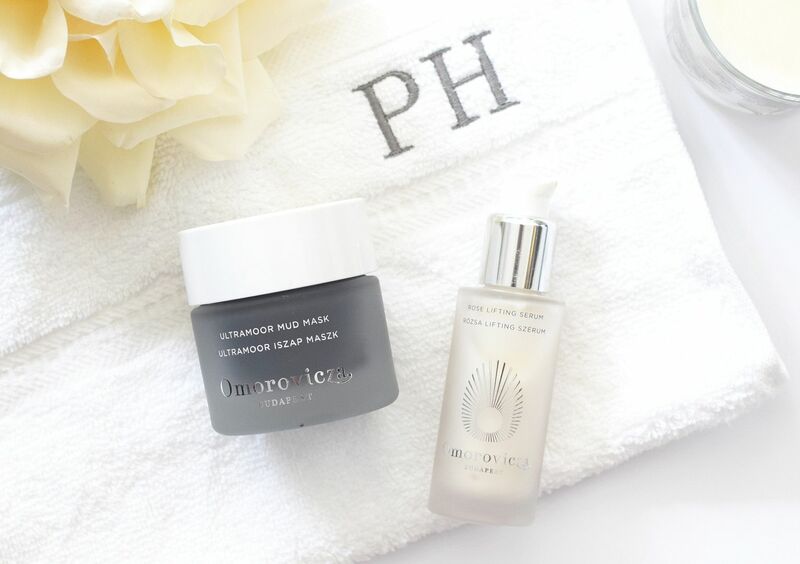 Facial muscles are relaxed by the sea mayweed, whilst the pro ruby crystals minimise the appearance of fine lines and add radiance. Crystals also have healing powers, ruby crystals are also known to help alleviate stress and bring self-confidence. For tightening and improving the appearance of skin it has collagen and then the rosa damascena flower extract hydrates. I love products with rose as it is so hydrating for my skin. This is just a really lovely serum and I have definitely seen benefits from using it. I’ve always been a bit scared of mud masks, just because I have quite dehydrated skin. However I recently had quite a break out so thought it was time to really cleanse out my skin. 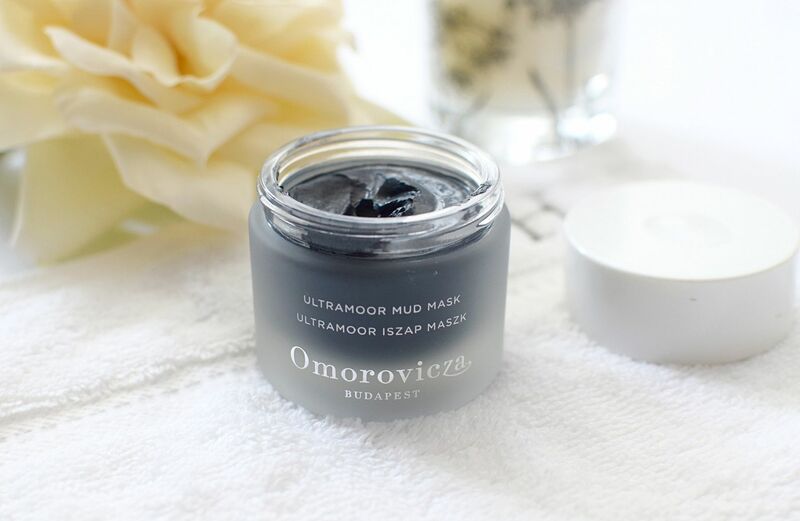 Omorovicza’s mud mask however is perfect for me as the Hungarian Thermal Water and Moor Mud included in the ingredients make sure my skin stays nourished and doesn’t dry out from the mud. The mask is suitable for all skin types and really works to cleanse and detoxify the skin. Not only that it also works as part of your anti-ageing routine and helps to plump fine lines whilst the Hungarian moor mud and hectorite clay not only eliminate toxins but encourage sluggish skin cells. The amino acids give an exfoliating effect when removed to resurface the skin. I left this one on for 15-20 minutes and it felt tight on the skin, not in a discomforting way, but as its clay it will really stick to the skin. Make sure to use a cloth and hot water to get this off. My skin felt lovely and soft afterwards and really like it had deep cleaned my skin without leaving it feeling sore or dry afterwards. My skin also looked brighter and more energised again.